It’s here. The video game industry’s big ole conference. Microsoft’s controllerless motion control system for the Xbox 360. It captures the user’s motion, and voice allowing him/ her to play games, or navigate the system without hitting any buttons, or swinging any wands. This was announced last year as “Project Natal,” and I genuinely wanted to dislike it. However, the demo showed some interesting potential, so I am going to reserve judgment until I see how more games start to use it. GameStop has it priced at $150. That’s probably too much money. Microsoft has inked deals to stream damn near every sport except for the NFL (boo!) on demand via Xbox Live. The service will be free for Xbox Live Gold members, and it looks very smooth. 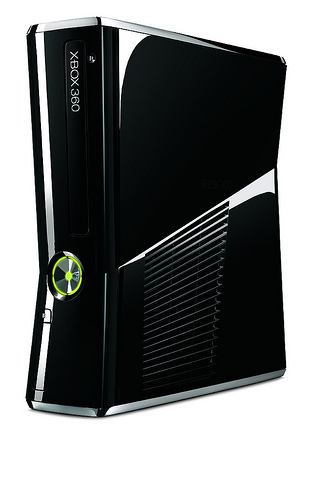 This new shiny, slim, sleek, and souped-up version of the Xbox 360 is available this week. Who knew Microsoft could keep a secret? It has built in Wi-Fi, a 250 GB hard drive, and it runs silently for $300.00. If it doesn’t Red Ring of Death, I might replace my old 360. I lost most of my interest in Metal Gear during the last two hours of Metal Gear 2: Sons of Liberty. In the closing hours of the game, the plot ran right off the rails and never pulled my interest back. The latest incarnation of the game looks interesting. The gameplay mechanics seem fresh, unique, and insanely violent. The violence interests me because it is over-the-top in ways that I have never seen before. I don’t know if that will make the game good, but I’m pretty sure it will result in protests, and banning in many places. This one will be intriguing to follow. The original Crysis is legendary in gaming circles because it had graphics capabilities that were unheard of when it was released in early 2008. Two years later, it’s still hard to find a computer that is powerful enough to run Crysis with its setting maxed out. Crysis 2 is going to be a win. The mechanics demoed at E3 are very promising. And it’s going to be 3D. That doesn’t do a thing for me, but maybe it matters to someone. EA has positioned the game as their “Halo killer.” I think it will probably be a good game, and I have little doubt that it will sell well… But I wouldn’t bet a penny on it toppling Halo. Which brings us to Halo Reach. It’s Halo. It’s going to be good. It will sell a bagillion copies. Just watch the video. The previous Assassin’s Creed games have narrowly missed my playlist. This one won’t. The villains are the Borgias. The historian/ gamer in me has always wanted a crack at killing these legendary bastards. Last but not least, Ghost Recon Future Soldier is my most exciting game of E3, Day One. I wish I saw some new franchises that excited me, but so far, it’s all sequels. There’s always tomorrow… Which is already today.